Abstract representation of wisdom and compassion created via lost wax casting. .99 silver. 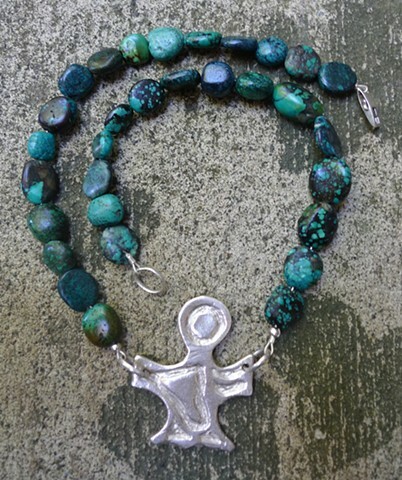 Strung from beautiful turquoise gemstones.